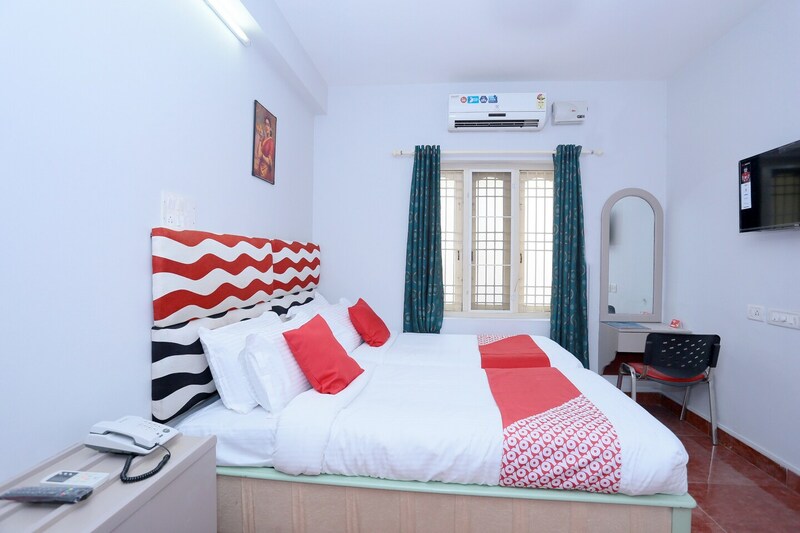 Visitors coming to Trivandrum will love the charming and elegant space made for the comfort of a modern traveller at Royale Suits and Apartments. The rooms are well-furnished with cozy beds, chic and modern interiors. Modern facilities are available for a peaceful stay such as free WiFi, parking and CCTV cameras that ensure a hassle-free and safe environment. One can easily access prime areas of the city along with enjoying a blissful day on the backwaters of Edayar Island or visit Poonthura and Veliathura beaches.